Having links set up on every page and post is critical for your SEO. 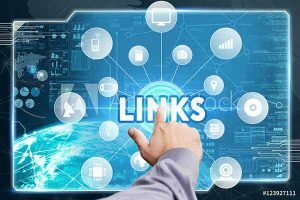 Internal linking does three important things for your website. First, you are helping visitors on your website navigate around with ease. Second, by linking to other pages on your website, it shows Google that these pages are important. Lastly, if the page that you’re linking from is or becomes a strong authority page, it will share some of that authority to the pages that you’re linking to. In return, it making those pages strong as well. This is how you spread some of that oh so important Google juice around your real estate website. How many internal links should I have per page? The number of internal links that you put on each page is going to depend on a few things. First, if you have a lot of content on a page, you will probably have more linking than a page with thin or light content. Second, you should only use internal links when they come naturally and when they will be best for the user. Like most things that Google tells us, there is a lot of room for interpretation. So, use common sense and don’t overdo it with your internal linking and you should be fine. For almost all real estate agents and brokers, the main goal of the real estate website is for local people in the surrounding area to be able to find their website and search for properties for sale. Typically, you are not trying to rank nationally. We can leave that up to our amazing friends that syndicate every listing in the US. If you didn’t figure it out, I’m talking about Zillow.com, Trulia.com, and Realtor.com. This is why it’s important to create pages for all of the neighborhoods, condos, and subdivisions that you wish to rank for. The major national real estate websites rank well for the ultra competitive keywords like real estate, homes for sale, real estate agent, realtor, and condos for sale. 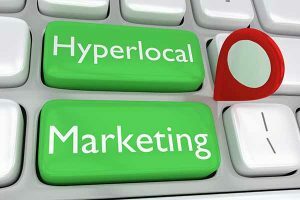 It does not make sense for local real estate agents and brokers to try to compete for these big keywords. Use your local knowledge and write about the local real estate market and neighborhoods that only someone with your knowledge can do. Develop yourself as the local real estate expert. One of the biggest ranking factors today for local businesses is having lots of good reviews. Google has made it very clear that they are going to be looking at reviews not only on Google but other websites like Yelp, Trulia, Zillow, and realtor.com for reviews. All of these reviews will be used as ranking factors so, make sure you are getting good ones. How do you ask for real estate reviews? Some agents and brokers have a difficult time asking for reviews/testimonials. Here’s a tip for you to be able to get the best possible review from your client. Ask for a review from your customer before closing. This is typically when most customers are happy, excited and they have not been bogged down with moving yet. Your customers still have time to write to you at least one testimonial if not more. Next, make it easy for your real estate customers by sending them links to exactly where you want the testimonials to appear. Ask them to be as thorough as possible because Google also has made it clear that longer reviews are better. It is imperative to have NAP consistency across many platforms online. Create your Google my business account and make sure everything online matches that name, address, and phone number. Local citation building can be defined as mentions of your business on different websites and local directories. Making sure that all of your citations are accurate and consistent is a vital part of local SEO. These mentions need to include your name, address and business phone number. The way you display your name, address and business phone number on your website is the same as it needs to be everywhere else on the Internet. To be done correctly your NAP must be represented consistently on each mention or directory. 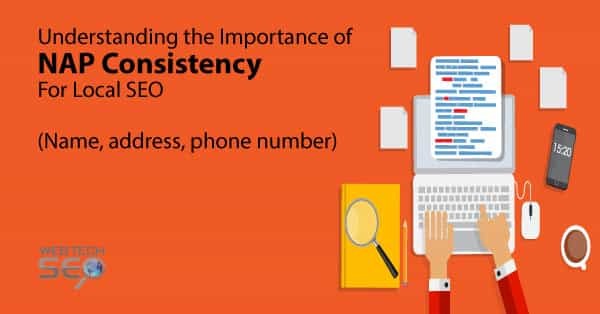 When we use the word consistency we are actually talking about being EXACT. There are 2 ways to get your NAP mentioned or listed. You can manually input this information on websites yourself. 1) You can manually input this information on websites yourself. 2) If you can afford to use a paid service like Moz Local, BrightLocal.com or Yext.com then do so. One of the paid services just mentioned will most likely put you on the right track faster and better than you could possibly do yourself manually. There are pros and cons of listing your NAP manually or by service. One of the pros of doing it yourself is that it only cost time. Another pro of manually building your own citations is that your NAP will be there forever. When you use a service many times they will take the citation down once you stop paying a monthly fee. This is something that you need to look into with each company. Either way, you do it just make sure you get it done and done correctly. Just about every real estate agent and broker has a Facebook page, Twitter page, LinkedIn, Google+ and, YouTube page. If you don’t have these pages, it is critical that you start building them as soon as possible. Although Google does not index all of these social media outlets on the search engine result pages, your customers and potential customers, buyers and sellers alike are visiting these social media sites. Social media is becoming an enormous place for buyers and sellers to be looking for properties for sale and realtors to hire. There’s too much business on social media nowadays for you not to have a solid presence there. Also, you can manage many of these things yourself or pay a company to do it for you. Above I named some of the go-to social media sites. Instagram is a social media platform that attracts sellers and buyers. Realtors and brokers should be leveraging Instagram to promote their businesses to millennials. I understand what you’re thinking, some of those people are too young to purchase a house. If they aren’t buying a home this year, they will be soon. And the upper age group on Instagram is actively purchasing homes and condos. Snapchat has also become a fast up-and-coming social media network that realtors are using. This also is a platform that is geared mainly toward the millennials. This new group of homebuyers that are starting to make their presence known in the housing market is unmistakably all over social media. You don’t have to master every one of these websites and apps, but you should pick out a few of them and become proficient. Set a profile on a few others at least be on there. The worst-case scenario is that when you’re with a young client, you won’t ask “What’s Snapchat?”. A technique that many realtors do not know about is posting their listings on Facebook groups. This strategy is achieved by joining community groups that have the deal with topics like garage sales, local real estate groups, and even creating your own neighborhood groups. When you create a group the best part of it is that you have control. You choose what gets posted and what doesn’t. Obviously, you cannot completely be biased to only yourself otherwise no one will want to read or check-in. general real estate news, your real estate news and a few posts about yourself to add a personal touch. One of the most difficult things to do in the world of SEO for Realtors is earning backlinks and general link building. Luckily, there are a few quick and easy wins that you can do by yourself to establish some high-quality backlinks to your website. Without any backlinks, Google and other search engines like Bing and Yahoo have no idea that your site exists. Because there are good and bad backlinks it is important to use a backlink tool to monitor your website. An easy place to get high-quality backlinks to your website is ActiveRain. You do need to join to be able to blog, but it’s well worth the price. Not only can you write a blog post about your website but you can also blog on Activerain about different real estate topics. Because it’s already on a high-quality site with Google, your blog posts will rank very well and very quickly. This is a win-win for you and your website. Another technique for backlinks is to use the relationships that you have with other businesses locally. Speak with some of the business owners and discussed the reasons why your website may be a beneficial resource to link to. Check beforehand to see if they have a resource page or somewhere else they could easily put it. Also, contact your local newspapers and try to get press releases or other articles written about you. Make sure that there is a link pointing to your website on the online version of the newspaper press release. When you join the local Chamber of Commerce, they will link out to your website. I’ve never seen a Chamber of Commerce website that does not have high Google authority. Sometimes you can find local organizations or charities that you can either work with or donate to. You can also get creative and offer to pay an organization’s or charity’s hosting fee or for a website redesign. These two ideas are sure to gain you a backlink on a predominant page and location on their site. You need to be careful of this last technique. Remember, Google does not want you paying for links. That is bad SEO or sometimes referred to as black hat SEO. A more difficult but more acceptable way for real estate agents and real estate brokers to build quality backlinks to their websites is to write quality content. Quality content always has and always will generate high-quality backlinks. You may have heard the saying, content is king. This statement is both true and false. Just writing tons of content for the sake of doing it is not going to help anything. Quality content written on topics that people are interested in will get shared on other websites and social media. Research what you’re planning on writing about and make sure your content is original. There are tools on both models.com and a rate traps.com taken research content and how competitive the keywords will be. So, you’re doing everything that Google suggests and all the articles you’re reading say, but still no results. Google AdWords and Bing Ads have made it fairly easy to do some basic pay per click local advertising. The cost is directly correlated to how competitive the keyword is. Just sign up and start an account to begin advertising on either one of the search engines. If you decide that you want to start a larger campaign for more targeted keywords you may qualify to have an account representative from one of the search engines consult you for free. You typically need to have a budget of more than $10 per day to have access to an account representative. Your other option would be to have an Internet marketing company manage your pay per click ads. Although, both Google Adwords and Bing Ads are fairly easy to get started with. Facebook works a little bit different. Right from your Facebook business page you can click below any of your posts and find the boost button to get more engagements on that post. If you want to run an ad to get a specific result you can also do that. 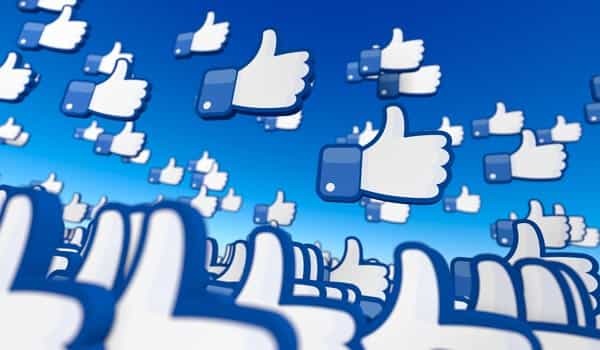 Facebook allows you to target things like demographics, behaviors, and interests of other Facebook and Internet users. To get the most specific results use Facebook Ads Manager. Facebook has been inching up on the big search engines. You never know, in a few more years we may be saying Google who? First of all, what exactly is On-page SEO? In the simplest terms, it is optimizing all of your web pages on your site so that the search engines rank your pages higher. The next question is, what exactly do you need to do to make this happen? 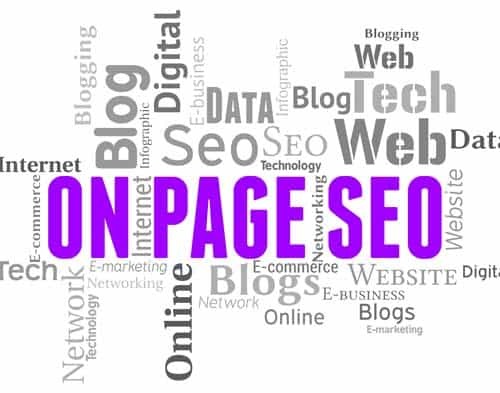 There are a few main parts to on-page SEO. The first part is to build quality and relevant content on your site. This means talking about your local real estate market, homes in your area for sale, and making it worth reading to the user. The second part is a little bit more difficult for the average real estate agent or broker that is managing his own website. This has to do with the proper HTML structure of the website. Make sure you do not have any 404 errors. There are suggestions for a few websites that can assist with monitoring your HTML and site below. When writing title tags keep them under 60 characters and meta descriptions under 160 characters. Place your keywords in your title tag, URL, meta-description and within the first paragraph of your content but do not “keyword stuff”, rather use your keywords naturally. A common mistake people make is forgetting to customize the URL name. When at all possible use your keyword within the first 3 to 5 words of your URL and keep the URL as short and concise as possible. Put a relative image on your post or page to the content you’re writing about. Make sure the name of one of the images has your targeted keyword in it. Also, do not forget to fill in the alt tag. Somewhere in the alt tag you also need to have the main keyword for the page. Think about any time you go to a website and you’re waiting watching the wheel spin. How long will you wait for a page to load? There is no specific time limit that Google states your webpage must load within. All we do know is that it is a factor in search engine result pages and a definite factor in UX or user experience. Maybe you have more patience than the average person but if you want more traffic to your site, make sure loads as fast as possible. There are tools that can assist anyone from a beginner level to expert. Test your website speed with Google. Some of the best on-page SEO tools to try are Moz Pro and SEMrush. Both of these tools can run an analysis of your website and give suggestions on how to fix the problems. If you’re hoping to avoid these problems or least keep them to a minimum, there are few plug-ins. The Yoast plug-in is the most popular SEO plug-in available. It comes in a free version and has a few different paid upgrades available. 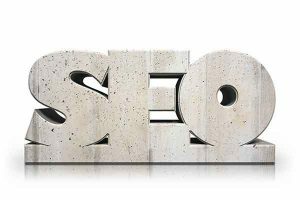 There is also All in One SEO Pack which has an excellent free version. Recent studies (http://www.pewinternet.org/fact-sheet/mobile/ ) show that over 77% of Americans own some type of smartphone. This means that almost 8 out of 10 people are using their smartphones to surf the web. This means that almost 8 out of 10 people are using their smartphones to surf the web. This also means that they’re looking for real estate agents and homes for sale on their iPhones, iPads and Android devices. It is critical that your website displays properly on the smaller screens otherwise your potential customer will go to the next website that is easier for them to use. Also, Google has announced that if your website is not user-friendly that it will suffer dramatically in the search engine result pages. After all, if Google doesn’t like it then nobody likes it, right? There’s some truth in what I just said about Google. The reason is that Google is such a huge collector of analytics and statistics as well as behaviors that they know what the majority of people want. If Google decides that they are going to “reward” a website for doing something like making it mobile friendly, you better believe that there’s a reason behind it. Infographics have been a huge buzz on social media for quite some time now. They get a huge amount of social media shares. People love them because they don’t have to read as much. There are pictures that tell a story with text to go along with it. Maybe it’s because deep down we all love and miss the picture books we use to read as children. Heck, I prefer to listen to an audiobook half the time over actually reading the words myself. A good place to go to make an infographic is https://venngage.com/. If you don’t have any artistic ability and you want someone else to create the entire thing you can try using someone from Upwork or a local designer. An excellent benefit of a viral or even good infographic is that it can bring a lot of attention to your social media platforms, get clicks to your website and hopefully get you some good, high-quality backlinks. My favorite spot for learning anything on just about all topics is Lyndia.com. Take classes in photography, graphic design, web design, WordPress, infographics, SEO and more. Another website with online video courses is Udemy.com. They have a lot of great courses that you can choose from and pay for individually instead of a monthly membership. Real estate newsletters are an excellent way to not only keep in touch with new and existing customers but also to drive traffic to your website. First, you need to figure out how you would like to send your newsletters. 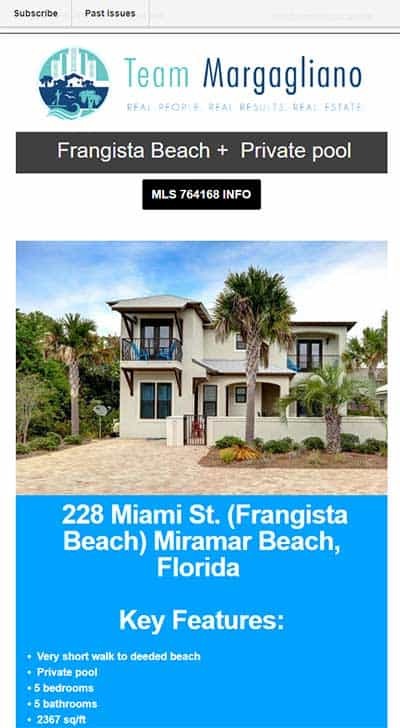 What’s the best way to send your real estate newsletters? If you’re looking for a way to send you newsletter out free my favorite choice is MailChimp. MailChimp allows you to have a completely “Forever Free” account. With this account, you can have up to 2000 subscribers and 12,000 emails per month. For most of you, this will be plenty to get started. If you need something larger, their first pay plan starts at $10 per month. A very powerful but paid subscription-based program is Constant Contact. They do offer a free trial for 60 days, but after that, the minimum subscription price starts at $20 per month. You can pay monthly, but if you decide to give them a six-month or twelve-month commitment, you will earn a discount. Another paid monthly subscription-based program is icontact. They do offer a free trial for 30 days with no credit card required. iContact offers sophisticated email marketing software and marketing automation software. All three of these choices are great products and offer quality email marketing solutions. For a real estate newsletter that is just getting started and is in the early growing stage MailChimp’s free account should cover all your needs. With any of these companies, you can put a customized template with all of your branding together directly from their website. They are fairly simple, but for the most professional look, you may want to hire the assistance of the graphic designer. I recommend sending two newsletters per month. A feature listing and a market update. It’s up to you on when you send these out but pick two dates, for example, the 7th and the 21st. For now, let’s say you will always send out your newsletter on the 7th and 21st of each month. This way, your readers will grow to expect to see something coming from you on those dates. They’ll start looking forward to it, and if it doesn’t arrive, they will be disappointed. Consistency is key on any newsletter. Your first email will be your featured listings. This is not a newsletter to put every one of your listings but rather choosing two listings to feature. If you do not have two listings to feature then ask around your office and typically any agent would love for you to market their properties for free. It becomes part of all of your listing presentations. Next, will be your monthly market update. This is going to be a summary of the real estate market for the areas that you are covering. You can keep this fairly simple. I suggest that you create a table so you can list the current inventory of homes for sale, pending homes and the sold homes for the past 30 days. Then you can give a summary of the real estate market’s current health. Talk about whether or not your area is currently in a buyers market or seller’s market and explain what both of them mean. Don’t forget about some of the lesser used ones. Just because you may not think they are the best sites other people are using them and some of your competition is using them to get new business. There are people that are still using Craigslist to sell their listings and attract new buyers. I’m actually under contract currently with a large parcel of land that I found the buyer for on Craigslist. I put all of my listings on Craigslist in the city it is located as well as surrounding areas. It only takes a few minutes, and I am getting ready to get paid on both sides of the transaction in a few weeks. Did you like these 11 best SEO tips for local real estate agents? If so, please comment and share below.